One of the few ESPN commentators left that I respected; mainly because he stuck to his original style and wasn't out for personal attention. 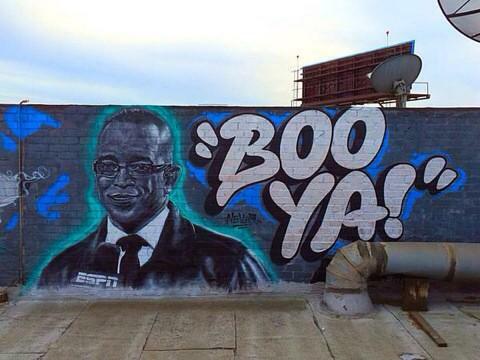 All in all, RIP Stuart Scott and hopefully his family will eventually find solace. Edited by Ven, January 04, 2015 - 04:59 PM. Edited by Majesty, January 04, 2015 - 05:21 PM. He will be missed. He was a great man, a great sportscaster, and a loving father. Shed a few tears over this news earlier. I remember seeing that ESPYS speech. Couldn't help but shed some there too. He seemed like a great human being. May he rest in peace. Wow... he basically was ESPN for me.